Above the wetlands of the south-western part of Lake Maracaibo there can be observed an unforgettable sight – powerful and nearly continuous thunderstorm with up to 20,000 flashes of lightning per night. 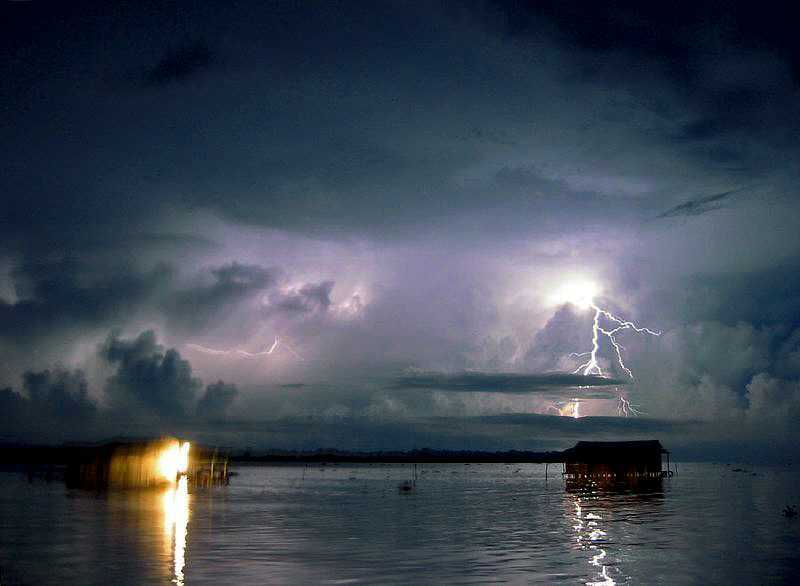 This is the famous Catatumbo Lightning – the most persistent thunderstorm of the world. We do not know when started the powerful light of Maracaibo Lightning – but this phenomenon has become a part of the tales of indigenous people. Thus, Wari people tell legends about an incredible amount of fireflies who have gathered here to pay tribute to the parents of creation. Of course, also European intruders noticed this weird, silent and powerful thunderstorm. It even influenced the history in this part of America. In 1595 the lights of thunder prevented the attack of English pirate Sir Francis Drake on Maracaibo – garrison of the city noticed his ships in the light of distant lightnings. Spanish poet Lope de Vega mentioned this unusual landmark in his epic poem "La Dragontea" in 1597: it tells about the the defeat of the hated Francis Drake at Nombre de Dios, Panama. On July 24, 1823, this light helped again – this time it guided the fleet of Admiral José Prudencio Padilla to his most important battle, leading to defeat of Spanish fleet and forcing Spanish Crown to accept the independence of Venezuela. People in the state of Zulia keep much pride in this extraordinary landmark and have adorned their flag and coat of arms with a lightning, it is mentioned in state’s anthem. Catatumbo Lightning was well noticed by famous naturalists like Alexander von Humboldt and Italian geographer Agustin Codazzi who described it as continuous flash arising from the surroundings of Zulia River. 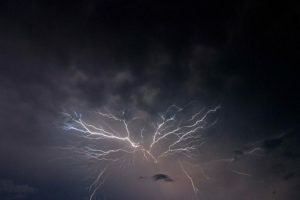 In the 20th century and the early 21st-century such scientists as Melchor Centeno, Andrew Zavrotsky, Nelson Falcón have researched mechanism of Catatumbo Lightning. Melchor Bravo Centeno in 1911 proposed that Catatumbo Lightning is induced by the specific wind regime of this region – and thus far it seems that he is right. Venezuelan scientist of Russian origin Andrew Zavrotsky (organized three expeditions in 1966 – 1970) identified three epicenters of Catatumbo Lightning in the Swamp National Park Juan Manuel de Aguas, in Claras Aguas Negras and in location west from Lake Maracaibo. At this time some believed that Catatumbo Lightning may be induced by the evaporation of oil compounds from the Maracaibo Basin. Zavrotsky denied this and considered that even the presence of uranium in the bedrock is a more likely factor than oil. No proof has been found for this hypothesis. Expeditions by Nelson Falcón, University of Carabobo and other scientists resulted in one more hypothesis: pyroelectric mechanism. It proposes that winds above the Maracaibo plains collect methane which is considered to be the main cause of the phenomenon. Also, this hypothesis seems to have weak causation – methane content in the atmosphere here is not too high. 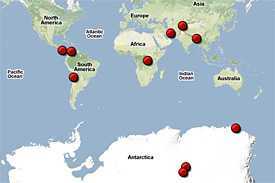 There are many areas in the world where methane concentration in the air is much higher but no such phenomenon is observed. On September 27, 2005, Catatumbo Lightning was declared Natural Heritage of Zulia. It has been included also in the tentative list of UNESCO World Heritage. Venezuelans note with regret that UNESCO experts seem not to realize that there can exist weather phenomena linked to certain location. In January 2010 happened unusual thing – Catatumbo Lightning disappeared. Lightning was not visible anymore and there was unusual darkness above Lake Maracaibo in the night. Closer studies revealed that the process of discharge continued, just the lightning was not visible anymore with naked eye. Before this Catatumbo Lightning vanished only for three weeks in 1906, after the tsunami caused by the catastrophic 8.8 magnitude earthquake. Most likely cause for current disruption is the unusual drought in Venezuela. Catatumbo Lightning restarted in April 2010, after more than 2 months long disruption. Maracaibo Lightning is observed in the area between 8°30′ and 9°45 north latitude and 71° and 73° west longitude, in Zulia state, Venezuela. Here, south-west from Lake Maracaibo have located wast, swampy, nearly impassable plains. The 500 km long Catatumbo River flows through these plains – it is full of water and navigable along most of its length. This river brings lots of sediments and has developed large delta in Lake Maracaibo. In fact, if the lake would not be subsiding, this river alone would fill the whole lake. Further away from the lake start mountains. Two high mountain ridges surround Lake Maracaibo plains from three sides – to the west is located up to 3,630 m high Serranía del Perijá. To the south and east are even higher mountains – up to 4,981 m high Cordillera de Mérida. Although the northern part of Lake Maracaibo is densely populated and industrialized, remote parts of Catatumbo basin still are inhabited almost exclusively by indigenous people. Only in the second half of the 20th century, they were "pacified" by Capuchin missionaries. 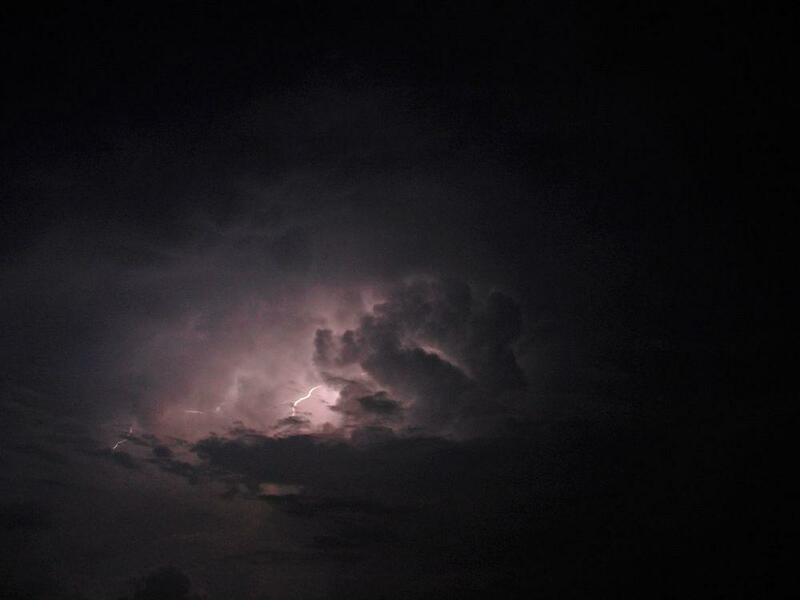 Catatumbo Lightning is like a common thunderstorm. Yes… almost common. Contrary to usual thunderstorms it always takes place in the same place and can be observed 140 – 160 nights per year, 10 hours long. Thunder starts approximately one hour after the dawn. It is very intense: there can be observed 20,000 flashes in one night. This resembles a giant strobe light. Single lightnings are 100,000 – 400,000 amperes strong – like common average positive lightning. Thunder takes place in giant storm clouds at foothills of mountains. The Maracaibo plain itself often is free of clouds in the night. Boats can go in Lake Maracaibo in the night and passengers can enjoy the beautiful spectacle of nature. Thanks to this clear sky this lightning is visible very far away in the Caribbean – even in the 500 km distant island of Aruba. Thus the second name of this phenomena is Maracaibo Lighthouse. Hardly any human-built lighthouse can beat the power of it! Lightning often is orange and red. For the most part, it is not audible, only sometimes there is heard distant thunder. 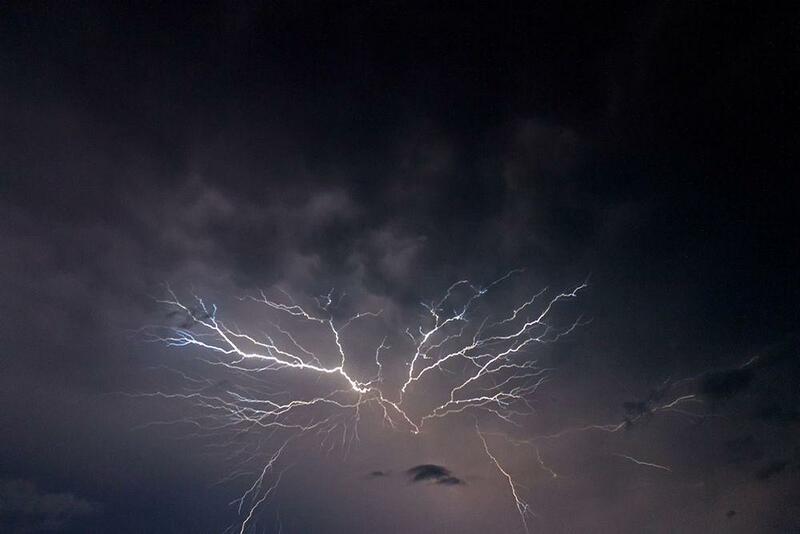 Some researchers (and many journalists and tourist operators) consider that these peculiarities are caused by specific chemistry or other, even mysterious singularities, unique to Catatumbo Lightning. In fact this is common lightning. 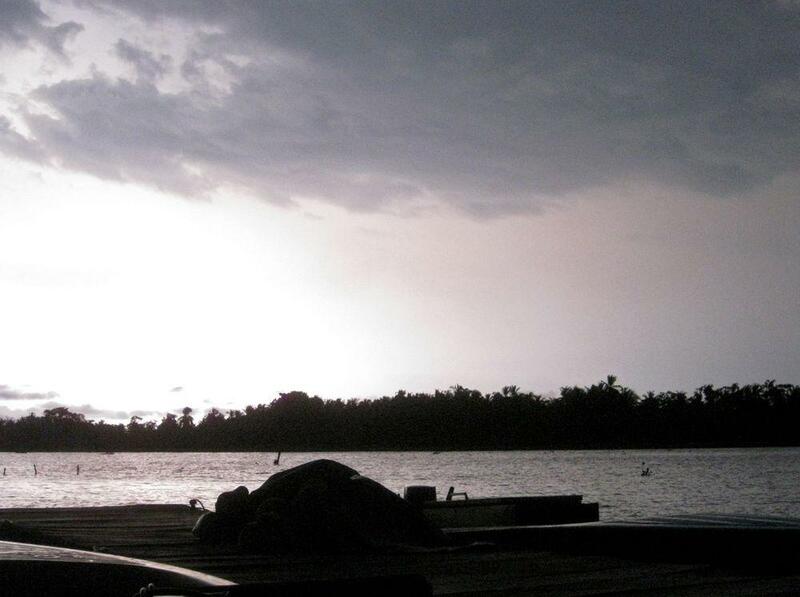 Clear sky over Lake Maracaibo lets to see very far – and thunderstorm takes place some 50 – 100 km far from the lake. The sound of thunder is lost in such distance, it is rarely audible more than 25 kilometers far. The orange and red color of lightning also is caused by the big distance – by dust particles and vapor in atmosphere. Far distance allows seeing mostly electrical discharges between the different parts of storm cloud – due to this many consider that Catatumbo Lightning does not hit the ground. This is not true either – also in this respect, it does not differ from common thunderstorms. Scientific investigations of Catatumbo Lightning continue up to this day and there appear new explanations for it. But most likely it has been explained already in 1911 by Melchor Bravo Centeno. 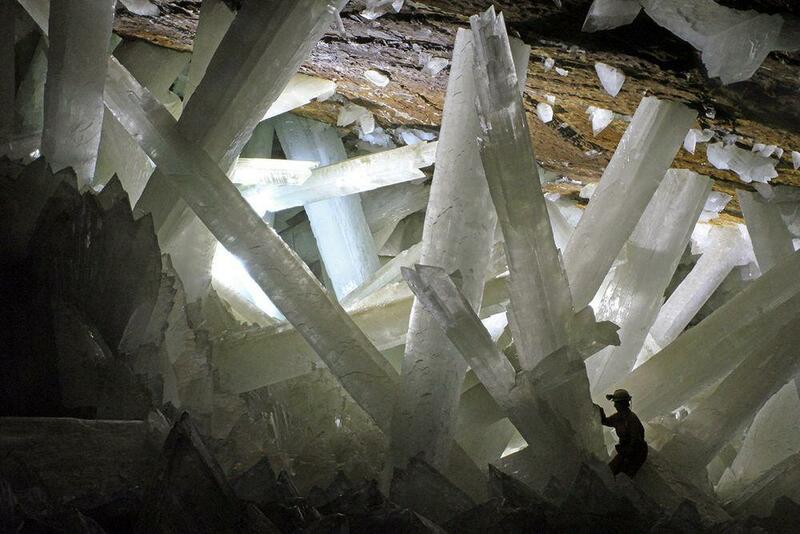 The key of this unique landmark most likely lies in the interaction of unique local topography, wind, and heat. High mountains surround Maracaibo plain from three sides. 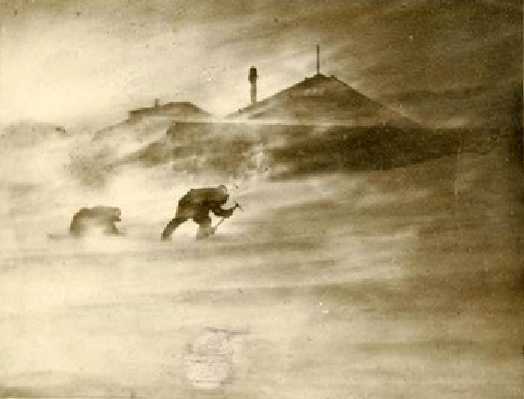 Specific wind (low-level jet) blows from the only side which is free of mountains – from the north-east. Hot tropical sun has heated the lake and swamps during the day – wind accumulates the produced heat and moistness. 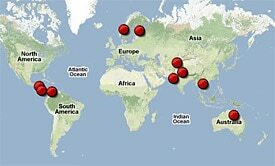 The disruption of Catatumbo Lightning in 2010 is alarming message – something seems to be changing in the local climate. Most likely some part of the blame lies in the deforestation and development of agriculture around Lake Maracaibo. To the south-west from the plains the wind meets high mountains. Electrically charged masses of moist and heated air here are forced to go upwards. Vapor condensates, clouds form and starts discharge of electricity – lightning. It is estimated that Maracaibo Lightning produces approximately 10% of tropospheric ozone of the world. Although it is located in the upper layers of the troposphere, most likely it does not help to build up the protective ozone layer of Earth which is located higher in the atmosphere – in stratosphere. Dan Robinson, Catatumbo lightning in Venezuela: Overview and Myths, Storm Highway. Accessed in the 21st August 2010. 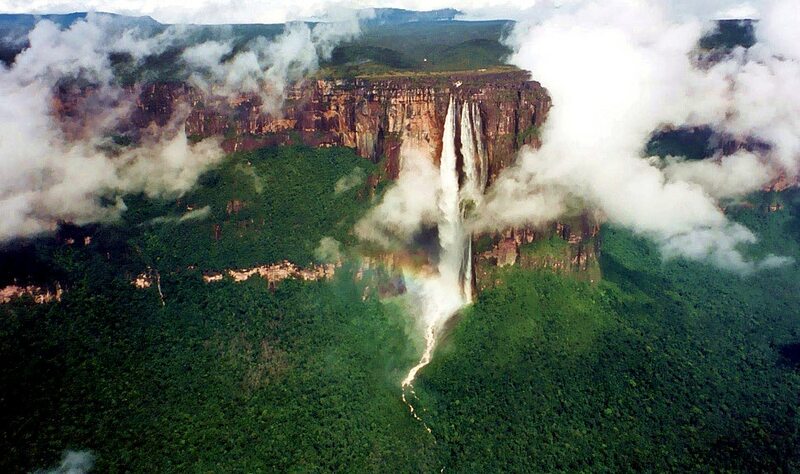 Venezuela is famous for its primeval, vast natural areas with numerous impressive natural monuments: such as the plateaus with abrupt walls (tepui) and numerous very impressive waterfalls, including the world’s highest one – Angel Falls. Extremely high biodiversity is characteristic for the entire country.